Richard Deats worked for the Fellowship of Reconciliation (FOR) from 1972 until his retirement on June 30, 2005. A United Methodist minister, Deats taught social ethics at Union Theological Seminary in the Philippines from 1959 to 1972. Deats served FOR in different capacities: He was executive secretary, director of interfaith activities, and editor of Fellowship magazine and coordinator of communications. 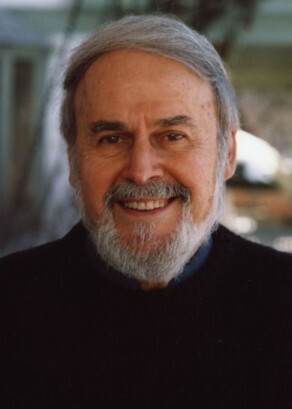 He taught workshops and lectured on active nonviolence in over a dozen countries, including South Africa, Bangladesh, the Philippines, South Korea, Hong Kong, Thailand, India, Haiti, Kenya, Lithuania, Russia, Colombia, Palestine and Israel. He led numerous Journeys of Reconciliation to Eastern Europe and the Soviet Union during the Cold War. Deats was part of an FOR peace effort in Iraq and he met with the PLO in Tunis, with Burmese liberation groups, and with indigenous movements in Ecuador. In 1986, he was part of an IFOR nine-week training project that contributed to the "people power" revolution in the Philippines. A native of Big Spring, Texas, Deats holds a B.A. from Mc Murry University, an M. Div. from Southern Methodist University and a Ph.D. from Boston University. He was president of the Texas Methodist Student Movement and student body president at Southern Methodist University. Since his college days he has been active in the civil rights movement and was a member of the Martin Luther King, Jr. Federal Holiday Commission until it was terminated in 1996. His wife, Jan, is a concert pianist and music teacher. They have four children, sixteen grandchildren and one great-grandchild. Deats' books include Nationalism and Christianity in the Philippines, Ambassador of Reconciliation: A Muriel Lester Reader, and How to Keep Laughing Even Though You've Considered All the Facts. He co-edited Active Nonviolence: A Way of Life, A Strategy for Change. His book, Martin Luther King, Jr., Spirit-led Prophet(1999), with a foreword by Coretta Scott King, is now in its third printing and his biography of Gandhi, with a foreword by Sister Mary Evelyn Jegen, is entitled Mahatma Gandhi. Nonviolent Liberator(2005). The King and Gandhi books (by New City Press) have German editions as well as English. Deats writings have appeared in such publications as The Christian Century, Sojourners, The Progressive, The Philippines Free Press, The National Catholic Reporter, The Other Side, USA Today, Newsday, Reconciliation International, and Fellowship. Deats lives in Nyack, New York with his wife, Jan.
Read about Deats'biography of Martin Luther King, Jr.
Read about Deats' humor book, "How To Keep Laughing"